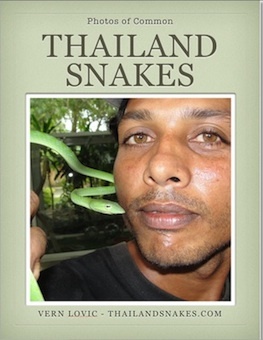 The third gallery of snakes found in Thailand – some submitted by tourists, expats, and locals from around the country. 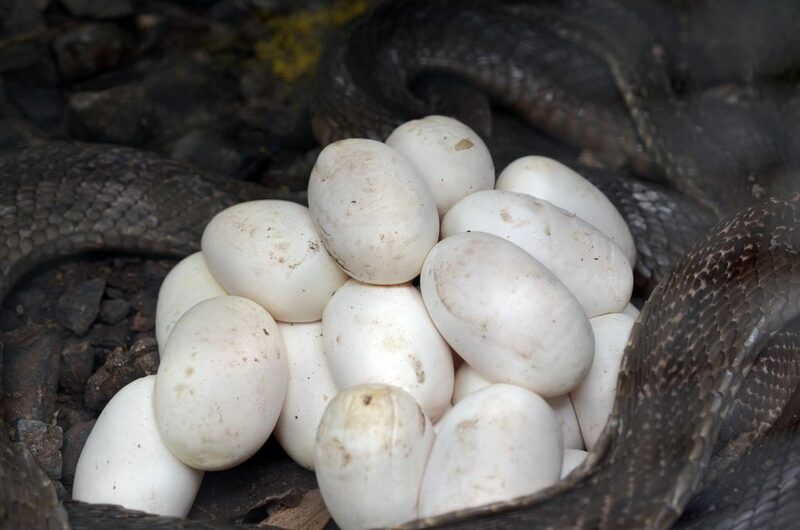 Monocled cobra eggs – they tend to have 20+ eggs at a time. Female Wagler’s pit viper in the rain just above the forest floor. 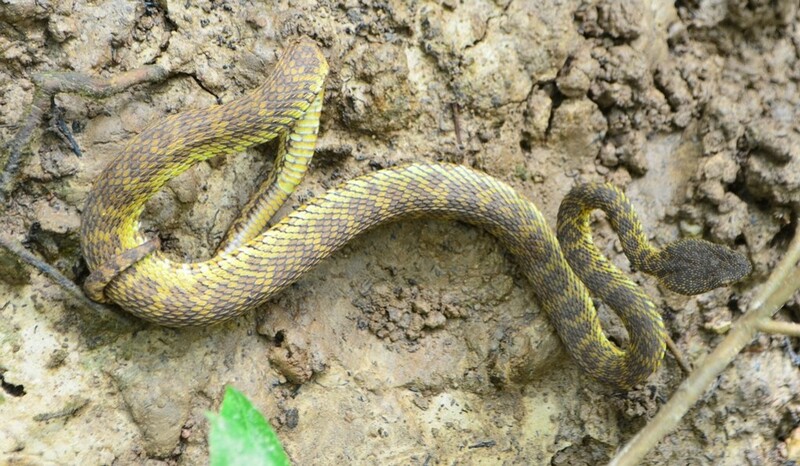 The deadly Malayan Pit Viper at a national park in Krabi, Thailand. 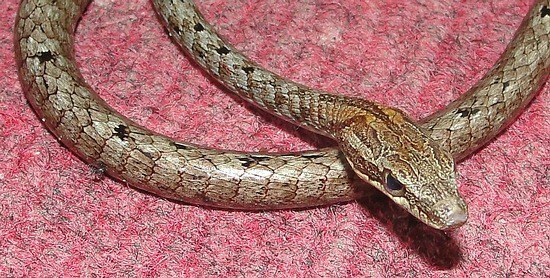 Indo-Chinese rat snake juvenile. Harmless. 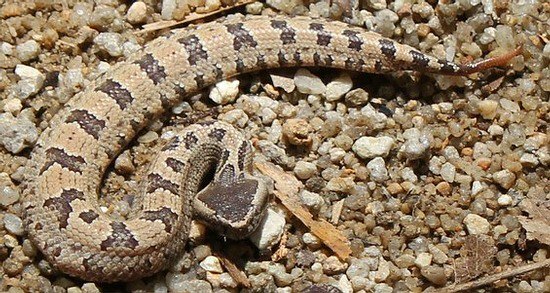 When adult these snakes are either brown or black. 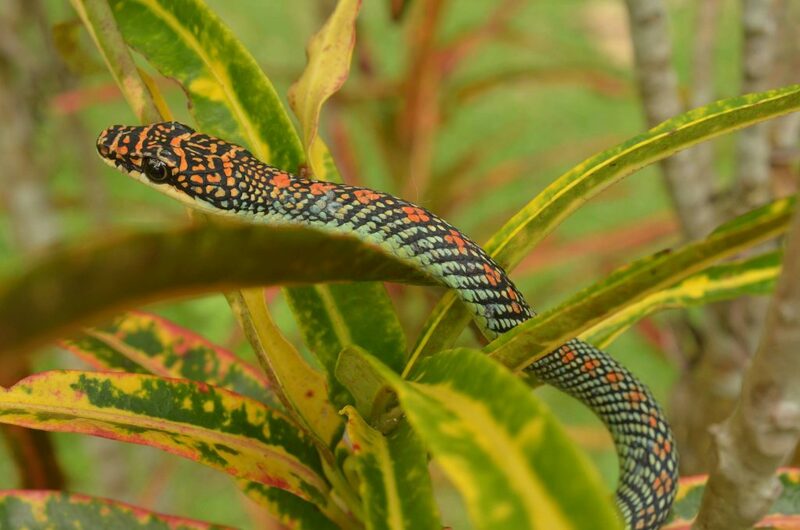 Paradise tree snake – harmless and so stunning. 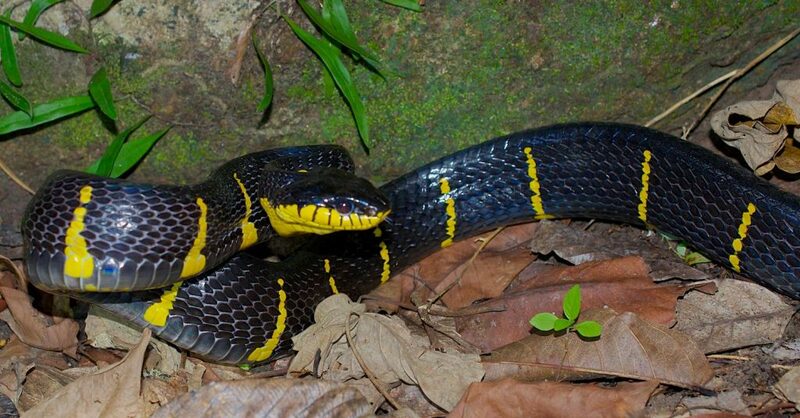 Mangrove cat-eyed snake – Boiga dendrophila. 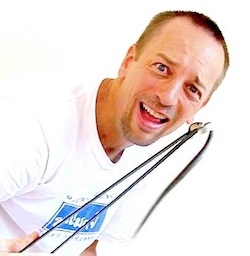 Usually harmless, but don’t let one bite you! 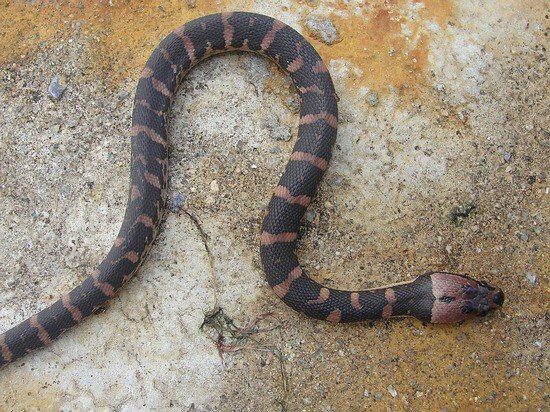 Somewhat rare wolf snake – harmless. 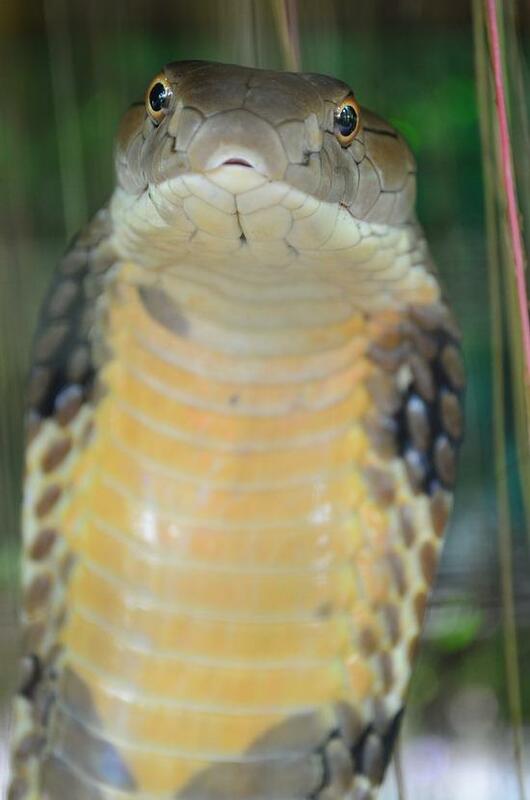 A deadly Malayan Krait in Southern Thailand. 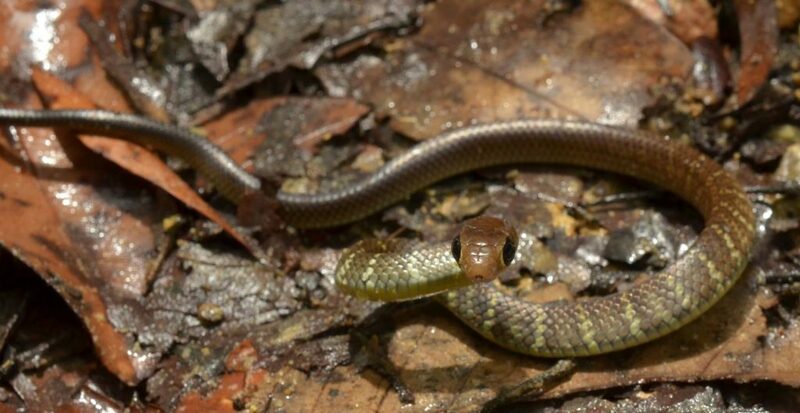 This snake has the strongest venom according to some experiments. 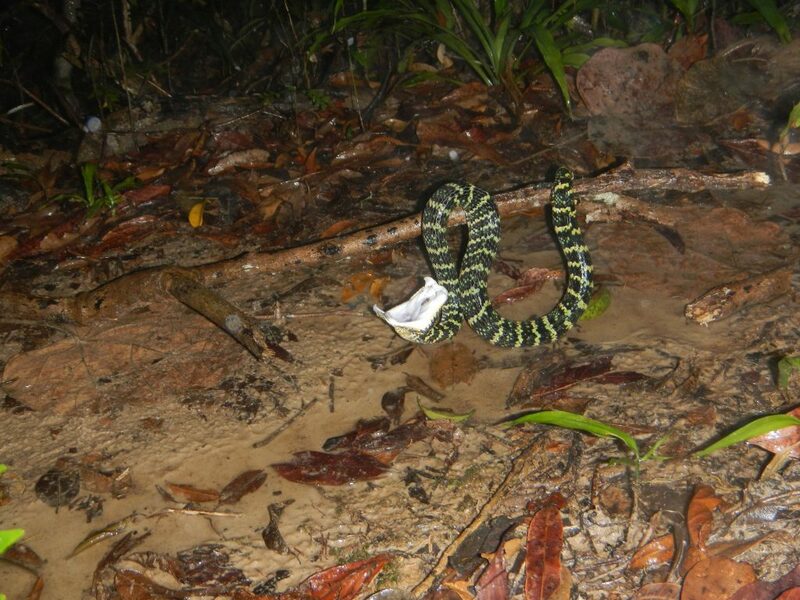 Mangrove cat-eyed snake on the prowl for food at night. 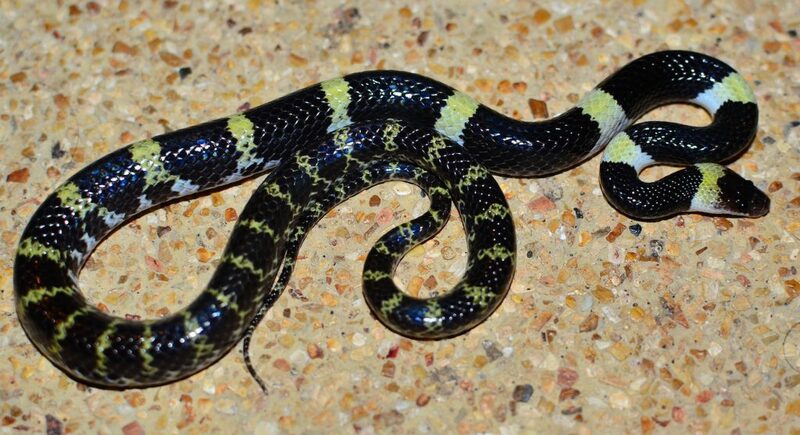 A wolf snake – harmless, from Southern Thailand. 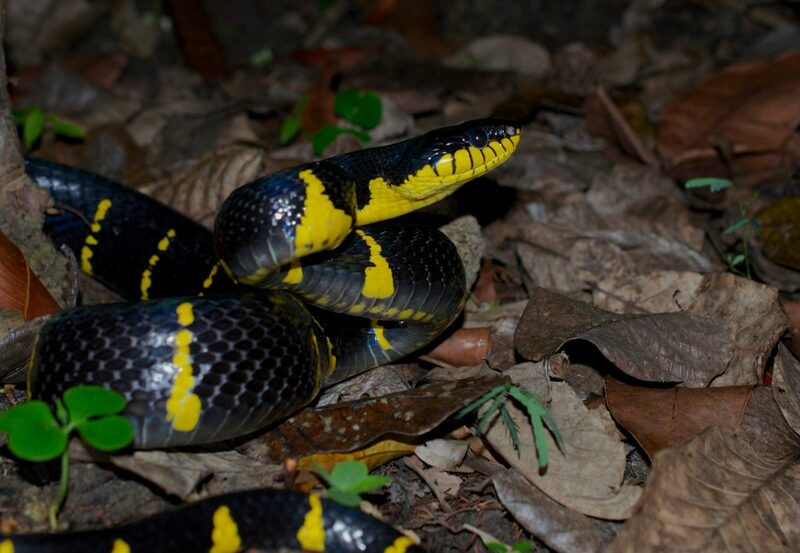 Female Wagler’s pit viper shows why you don’t want to step on one. 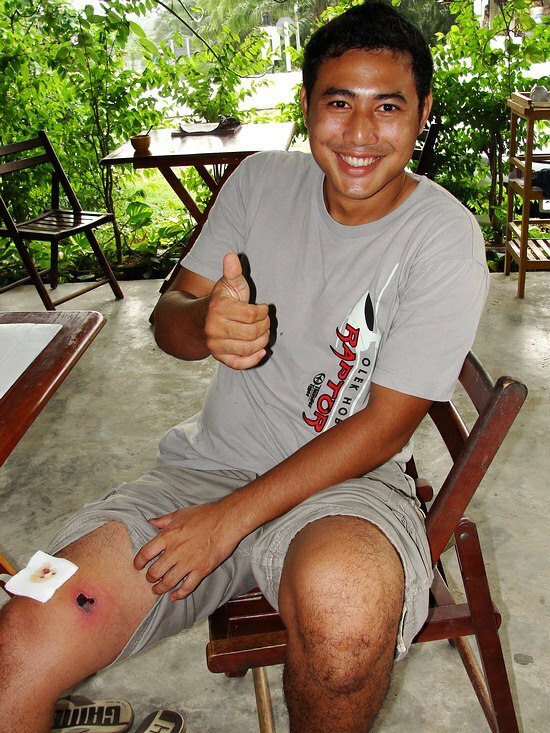 Tammy shows his monocled cobra bite. He was fine after this, his 5th bite. 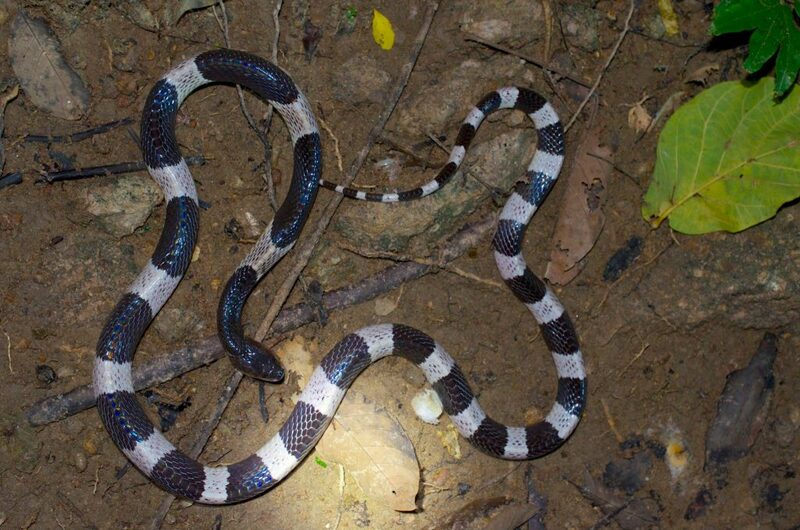 Lycodon laoensis – the Laotian wolf snake. Harmless. 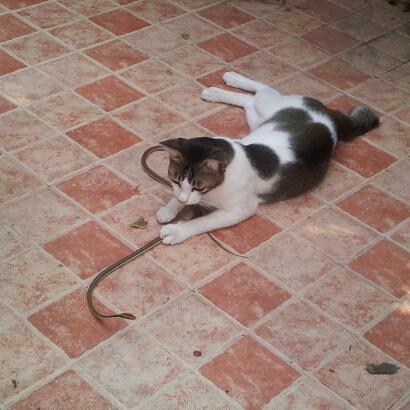 Cat plays with one of the bronzeback snakes. Harmless snake. 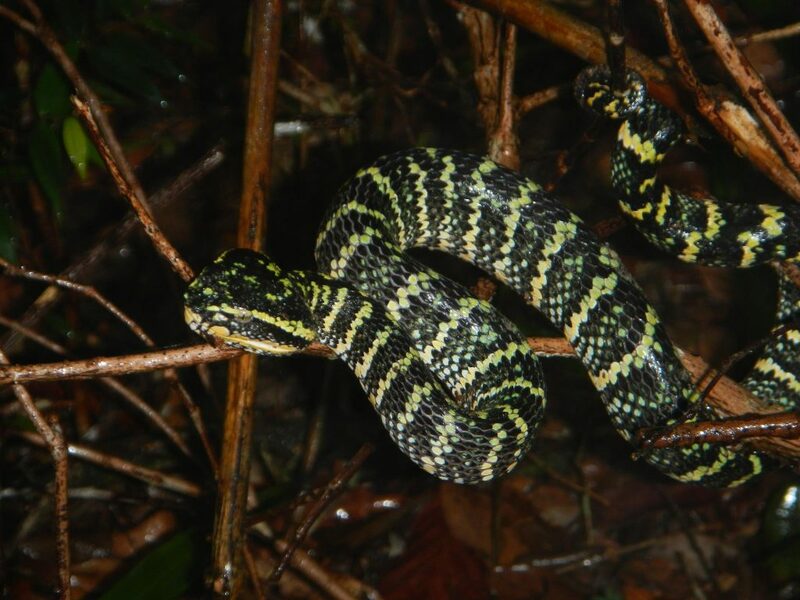 Mangrove pit viper – strong venom and rather rare except for the coasts. 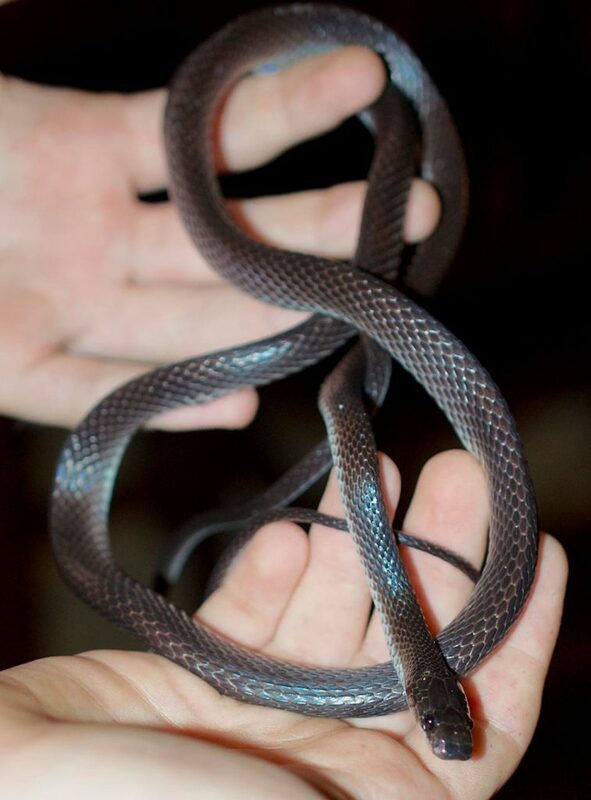 Melanistic paradise tree snake – harmless, though a mild venom can render birds, lizards and other prey immoble. 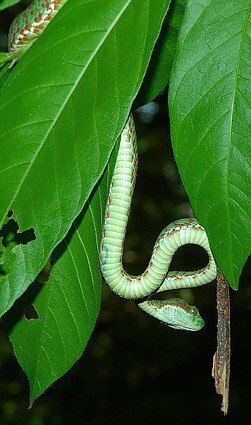 Mountain pit viper – very rare and can be deadly. 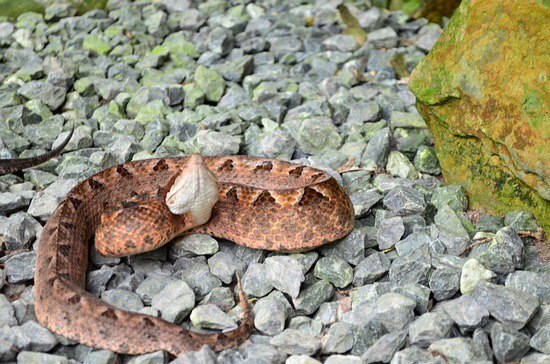 Malayan pit viper – in deadly reddish orange coloration. 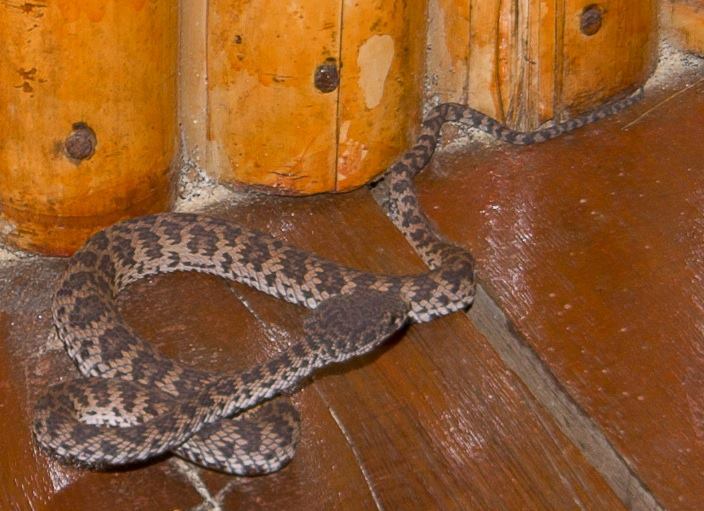 Brown-spotted pit viper – can be dangerous. 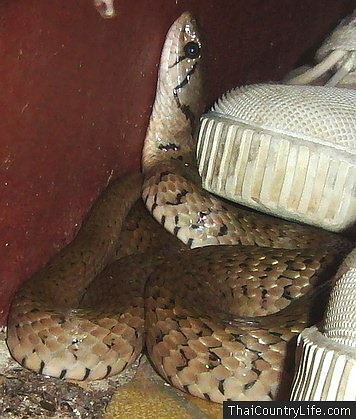 Brown-spotted pit viper, potentially dangerous bites. 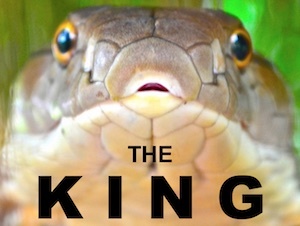 King cobra – deadly and nothing to mess with. 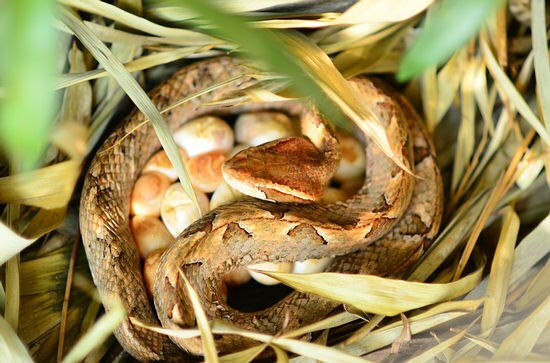 Malayan pit viper with eggs. 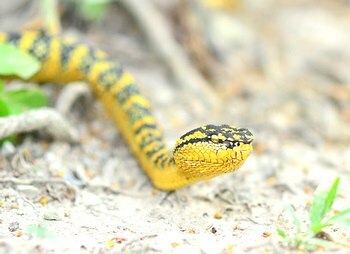 Female Wagler’s viper in a very yellow coloration. 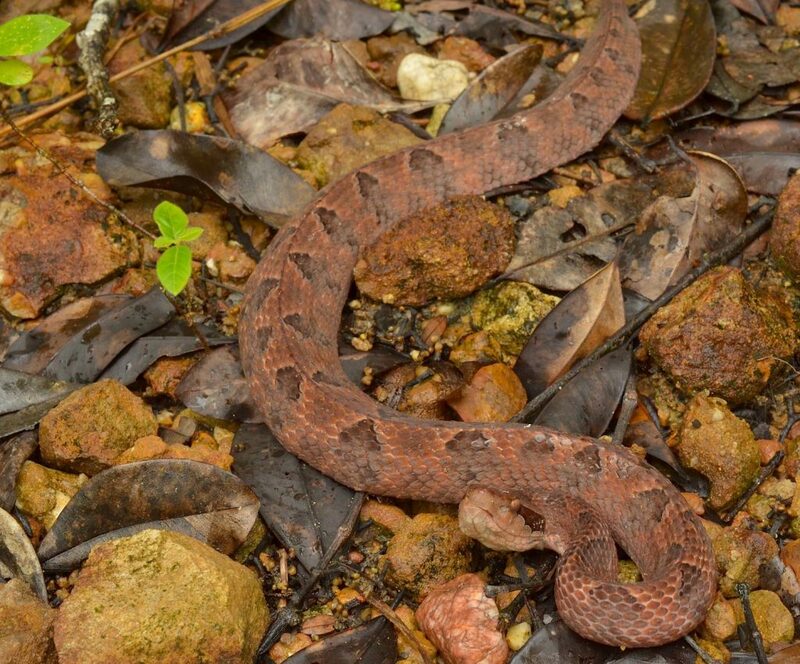 Mangrove pit viper – bad bites, and an aggressive snake. 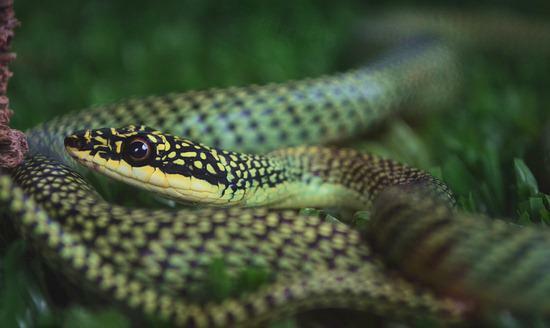 Checkered keelback, or the yellow-spotted keelback. Harmless. 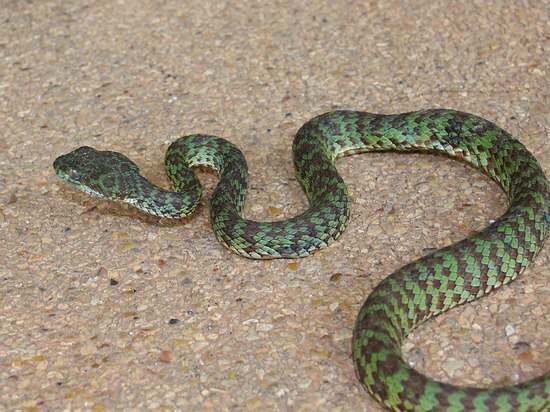 Bronzeback snake – tree snakes that have very mild venom. 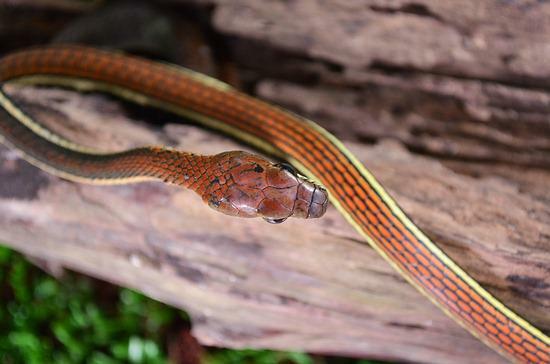 Golden tree snake – harmless and very fast climbers. 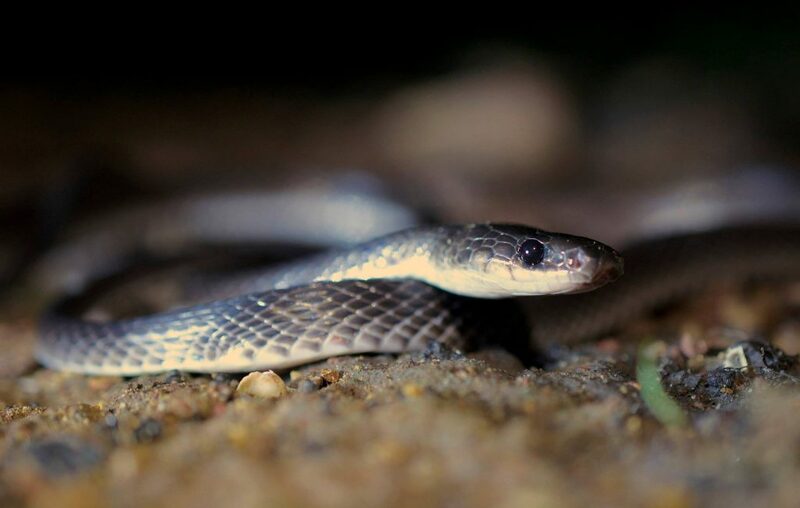 Homalopsis buccata – the puff-faced water snake. Not dangerous to humans, but they do bite. 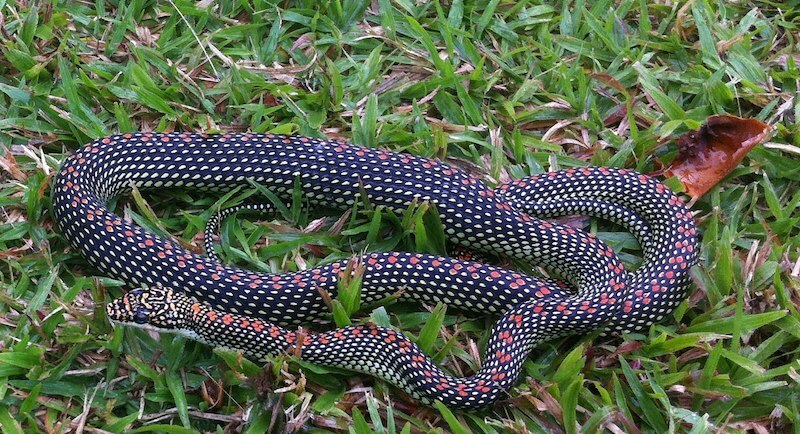 Red Whip Snake – very rare and mildly venomous, present no problems to humans.